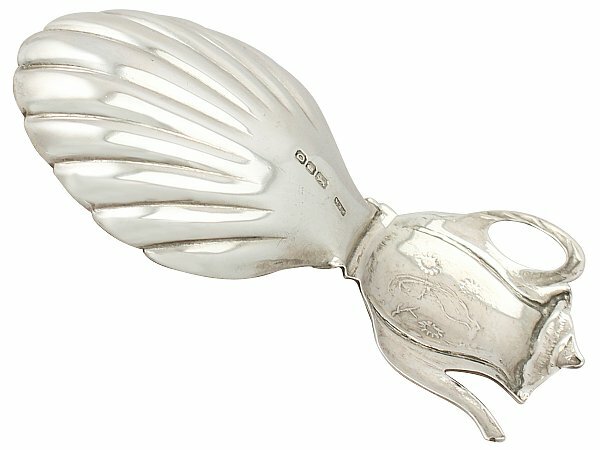 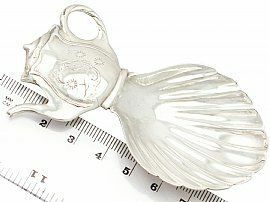 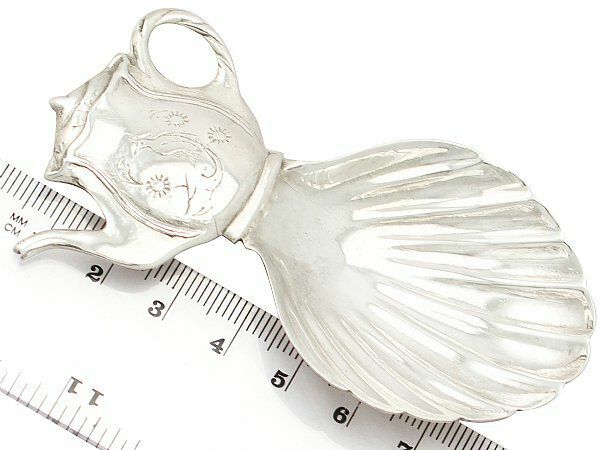 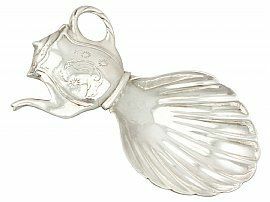 This fine vintage George VI sterling silver caddy spoon has an embossed shell shaped bowl. 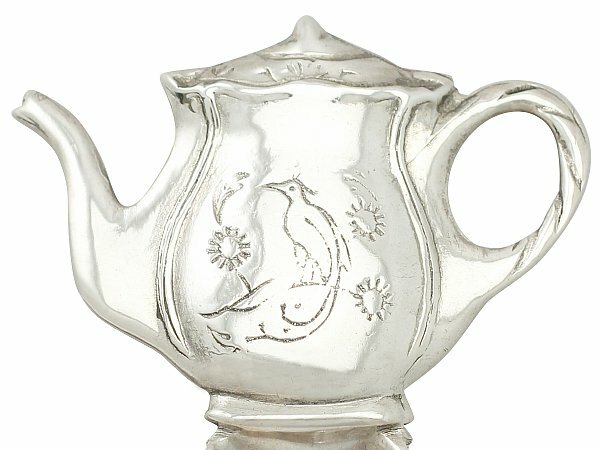 The handle is realistically modelled in the form of a teapot, embellished with bright cut engraved decoration depicting a stylised bird of paradise perched on a flowering branch. 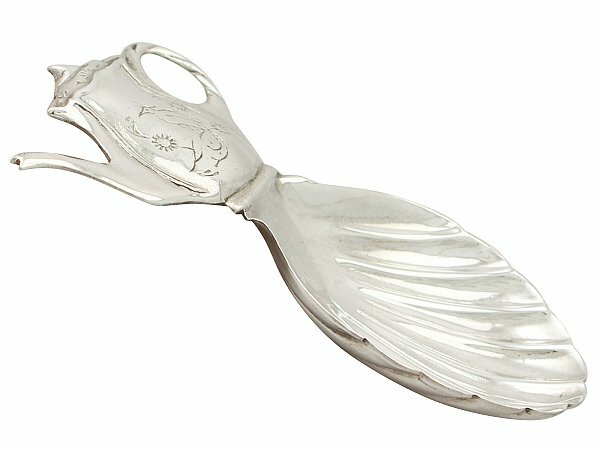 This vintage sterling silver caddy spoon is a very good gauge of silver, fine quality and in excellent presentation condition. The decoration to this unusual caddy spoon is very sharp. 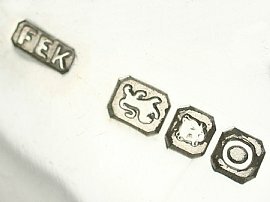 Full hallmarks struck to the reverse surface of the bowl of the spoon are all very clear. Reflections in photography may detract from the true representation of this piece of vintage teaware.